This topic may sound slightly sad when we are just approaching family gathering season ^_^ “Single customer” targeted business has been focused in Japan, and it finally came to open yakiniku restaurant which is generally considered as a food for a group of people. Unlike usual restaurants, this single customer-targeted yakiniku restaurant in Tokyo has divided tables for one person only. These tables are just like self-study desks divided by wooden walls in a library. According to the article, order can be taken from a slice of meat by using self-completed order sheet, and staffs are well-trained not to approach customer unless otherwise requested. 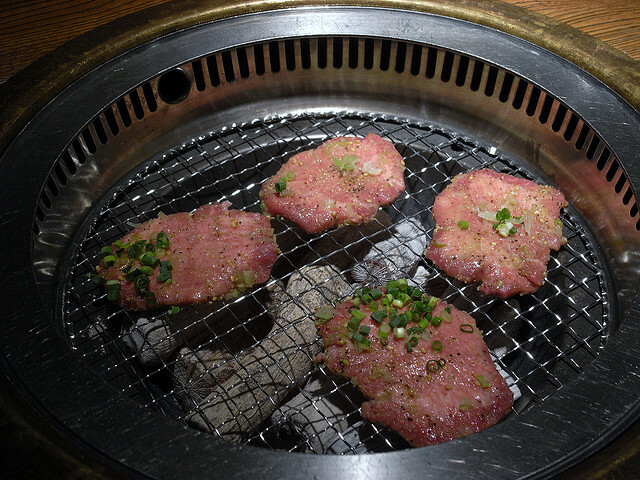 With those divided seats, customer can enjoy yakiniku without caring about other people. On top of this yakiniku restaurant, there are also hot pot restaurants and golf clubs for single customers. When it comes to golf clubs, customers always had to be a group for reservation; however, this single customer-targeted service will allow you to book even if you are alone, and you could play golf with other single customers. This way you may even be able to find new golf friend. All of yakiniku restaurants, hotpot restaurants and golf clubs are definitely the places to hesitate to go if you are alone, so this business looks very precisely targeting potential market～. How did you find today’s article about single customer targeted business in Japan?